Comet Windmills has provided the mid north coast with access to modern renewable energy power and storage technology. 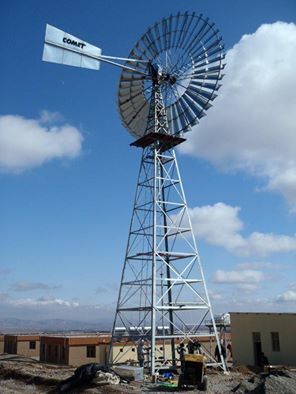 The many applications that the company has expanded the use of the windmill now encompasses eco tourism, aquaculture, dewatering of swamps and mine sites, irrigation, educational training, and of course domestic, stock and industrial water supply. 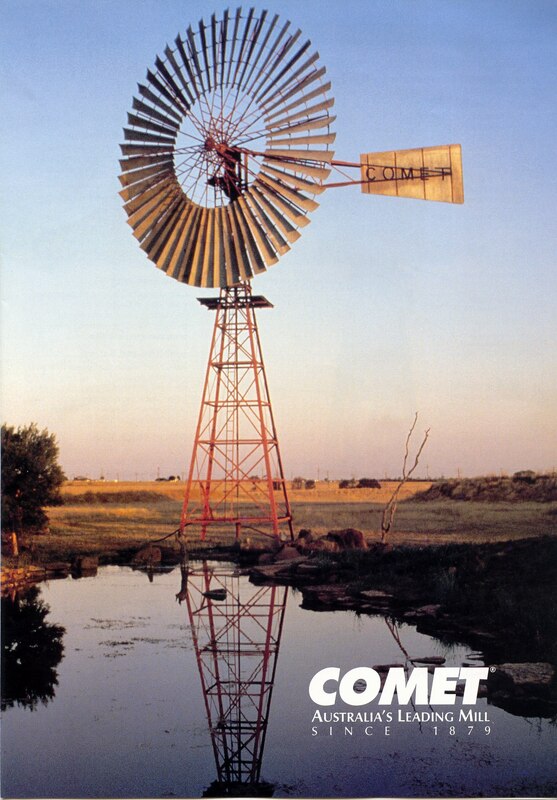 The Comet Windmill is a direct acting windmill which means the power of the wind works directly onto the pump through the up and down stroke created by the revolution of the wheel. 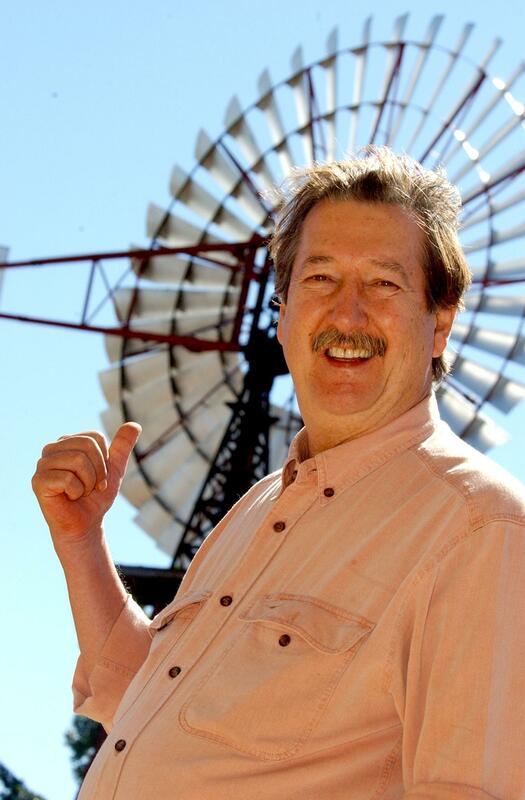 Mr Sidney Williams (1851-1936), the original founder of Comet Windmills manufactured a diverse range of rural products. He founded the Sidney Williams & Company in 1879 in Rockhampton QLD. We are here to help you from the initial phase to the final construction phase. Our mission is to provide you the highest quality work that meets your expectations. Your initial cost will be your last with a Comet Mill and they require a drop of oil perhaps once a year for maintenance. Being highly cost effective they are comparable in prices to any other water pumping plant on the market today with a higher standard of quality that has come to be expected. You can expect many years without replacing any major spare parts.